The deadly Middle Eastern coronavirus (MERS-CoV) has been reported to have infected and killed at least 20 people. 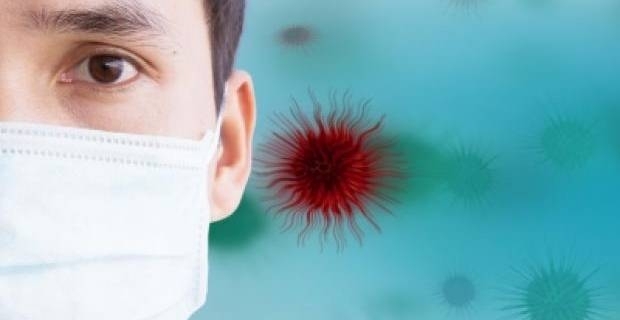 The virus originated in Saudi Arabi and shares similarities with the SARS virus, which emerged in late 2002 and infected over 8,000 people in China. Like SARS, Middle Eastern coronavirus is a respitory infection that causes severe pneumonia; the WHO has just issued a warning that the disease can be transmitted through human to human contact, and has just been reported in France. There is not much information about Middle Eastern coronavirus at the moment, or what symptoms occur at which stage. However, WHO have established cough, fever, shortness or breath and breathing difficulties as some of the main symptoms of coronavirus. Which areas is the virus consistent in? Coronavirus was discovered in 2012 but has recently become more wide spread in areas of Saudi Arabi in May 2013. 18 deaths have been confirmed through coronavirus; most have been in Jordan and areas of the Middle East, but France, Germany and the UK have reported cases of coronavirus. The WHO have expressed concern regarding the spread of coronavirus to the UK, Germany and France. However, the cases reported in France were contained to hospital patients. The WHO has hypothesized that Middle Eastern coronavirus could possibly only infect people with a compromised immune system, or those in hospital with infections. How is the virus contracted? Because coronavirus has spread from Saudi Arabi to the UK, Franc and Germany, the WHO has suggested that it could be possible to contract the virus through human to human contact. It has been suggested that Middle Eastern coronavirus spreads much like SARS and flu-like viruses, but as a member of the coronavirus family the disease can only survive outside of the body for 24 hours. Many health organisations, including the World Health Organisation and Health Protection Agency, have described the transmission of the disease as 'limited'; if the disease were severely contagious, more cases would have occurred. However, any cases of coronavirus in European countries are being treated with extreme caution and patients are placed into isolation to prevent the spread of the virus if they are suspected to have contracted Middle Eastern coronavirus. What is the treatment for coronavirus? Health experts do not have enough information to create a specific treatment or vaccine for the illness. If anyone were to contract Middle Eastern coronavirus, they would only be offered relief for respiratory systems and their symptoms. What measures can I take to prevent contamination? Although the WHO have assured people that Middle Eastern coronavirus is not highly contagious, extra caution should be taken by those who travel to the Middle East. If you travel to the Middle East and develop the main symptoms, it's likely you have a respitory infection rather than a coronavirus, but you should seek medical help in any case. To prevent the spread of potential infection, ensure you wash your hands frequently, avoid contact with persons in the Middle East who have severe coughs or colds and, if in contact with someone who has these symptoms, wash your hands and face frequently after contact.